What? 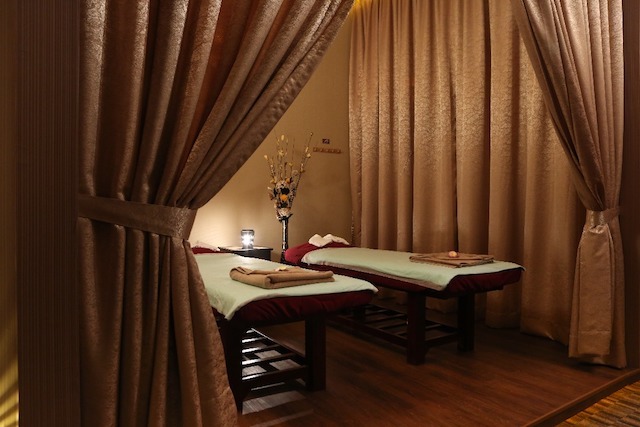 A place where you get to rejuvenate your body, soul, and tummy, all in one? 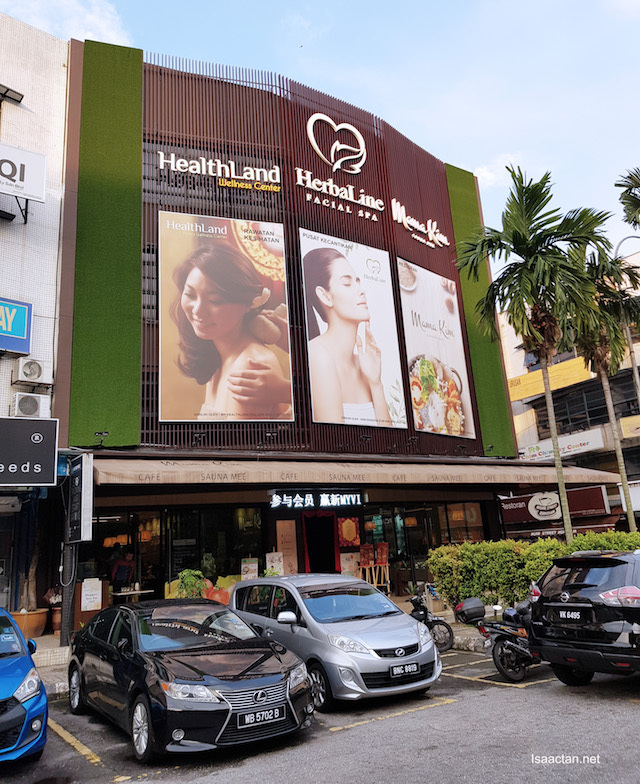 Introducing the latest collaboration between Healthland, HerbaLine and Mama Kim Sauna Mee Restaurant, a 3-in-1 Integrated Beauty & Wellness Centre at Hartamas KL. I was there the other night for a blogger’s night out, and we had so much fun being pampered. Read on below! 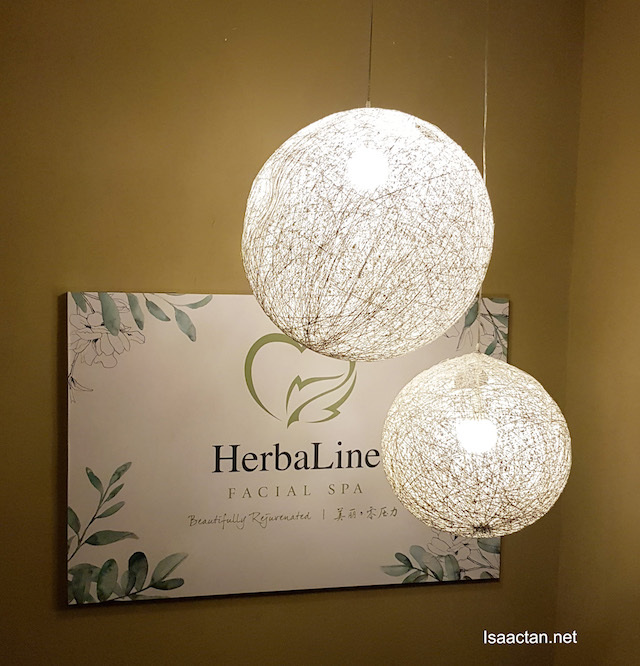 HerbaLine started off 17 years back as a facial spa, but recently they have expanded into the food and hospitality business on top of beauty. 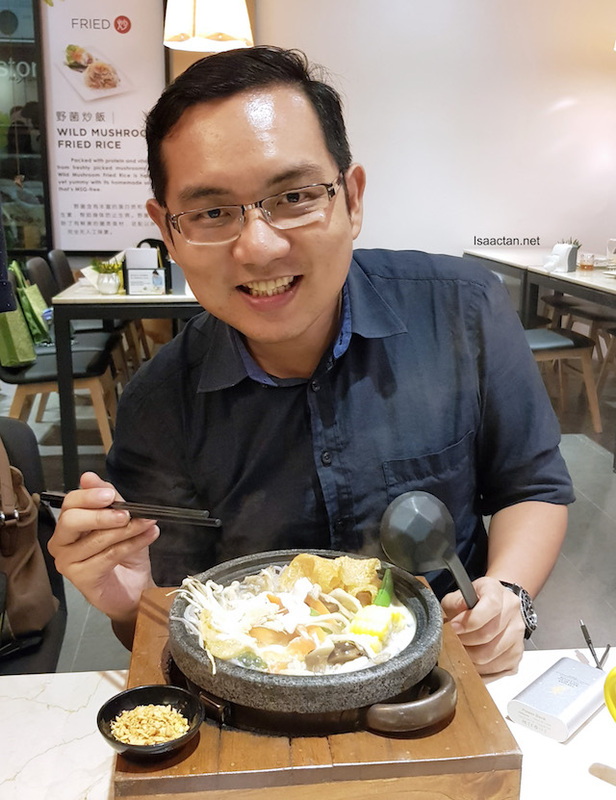 I’ve written before on their outlet in Pandan Indah (Read about it here, and here). 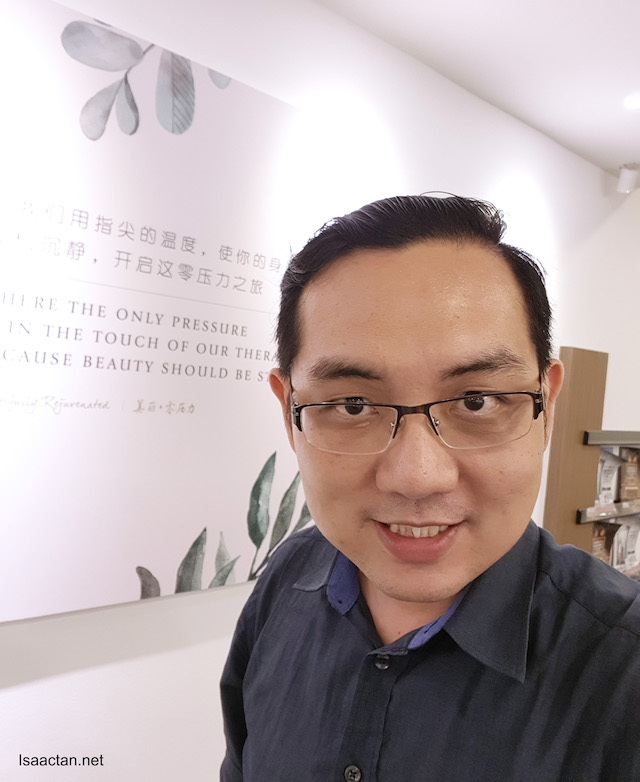 This time around the new HerbaLine 3-in-1 Integrated Beauty & Wellness Centre is pretty cool as they have integrate everything into one place. “Eat Well, Look Well, Live Well”, pretty apt tagline indeed. Dine, relax and enjoy the pampering. 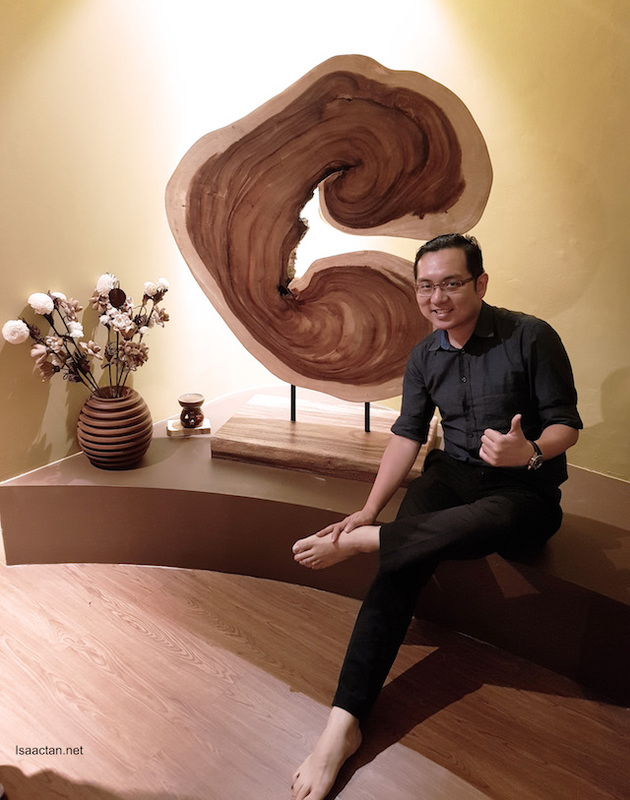 I’m sure you’ve heard of Healthland before, where they are Malaysia's only wellness centre that offers holistic wellness solutions to the mass middle class while maintaining its appeal to the affluent. 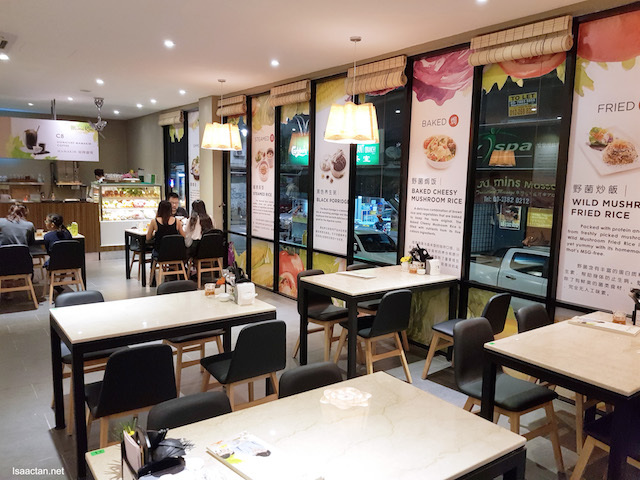 Together with Mama Kim Sauna Mee Restaurant, you get to pamper from top to toe! Pretty awesome stuff. 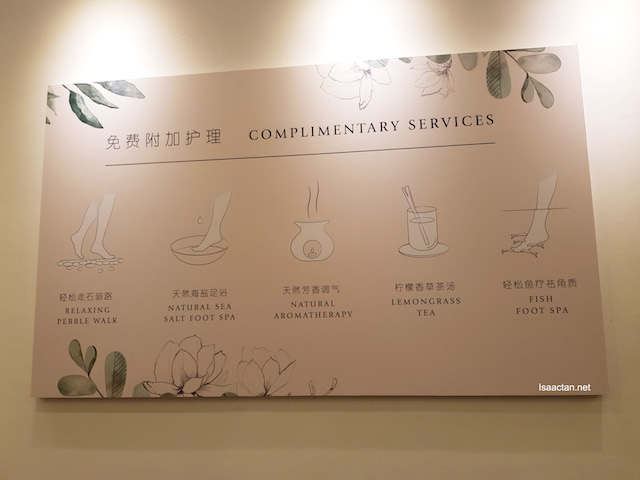 Facial spa centre, a massage and wellness centre, plus a healthy noms restaurant, A+! Arriving at HerbaLine 3-in-1 Integrated Beauty & Wellness Centre, we were ushered first to the 3rd floor, checking out their facial spa. 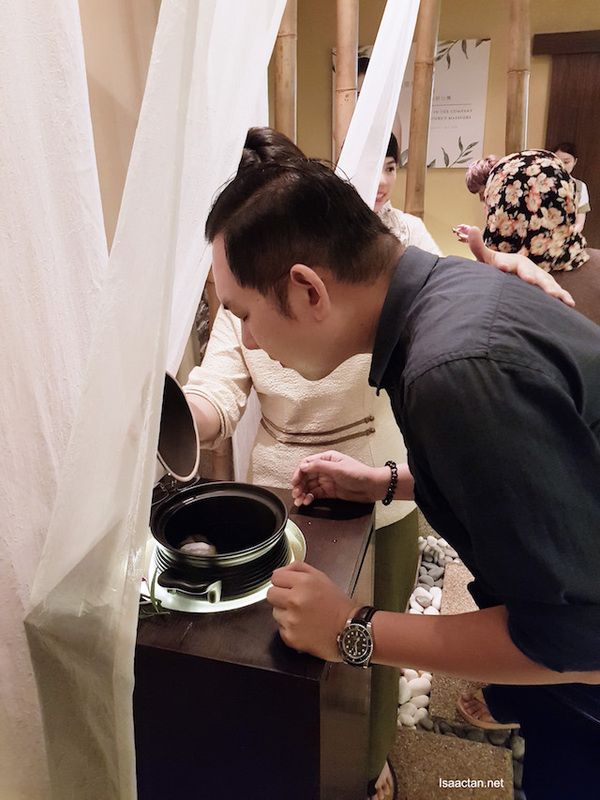 It’s more than a facial spa though, as they offer various facial treatments plus massage treatments for both male and female customers. Prices are pretty ok, ranging from RM69 - RM169 depending on package. 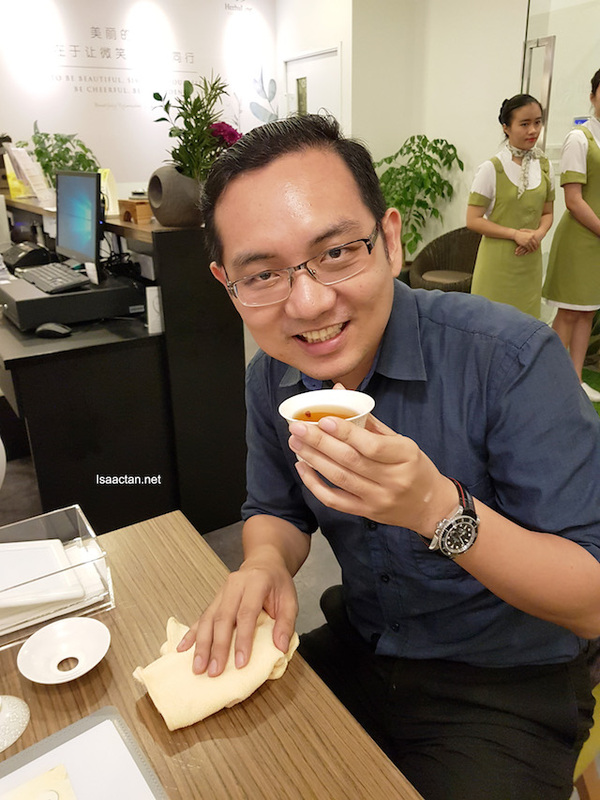 A welcome drink consisting of their house-made gojiberry and red date tea was served before I got to try out their complimentary services. Such a nice relaxing drink, good to unwind after a long day out. From then on we proceed to pamper ourselves with a sea salt foot bath, some natural aromatherapy, and even an awesome fish foot spa therapy. Eat up all that dead skin! The whole place is beautiful, with a relaxing pebble walk contained within the area. 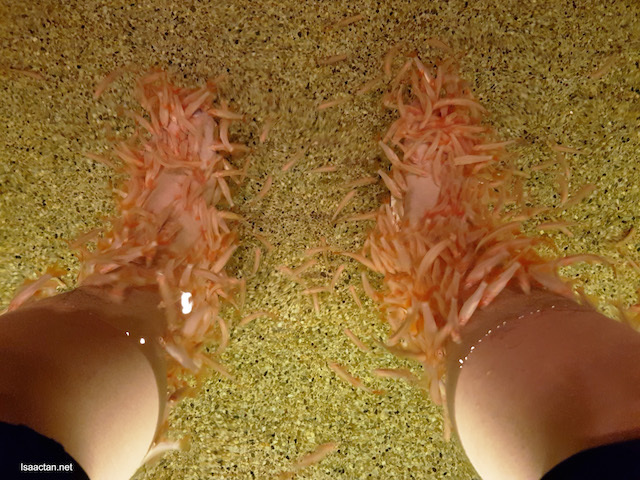 I’m in love with the fish foot spa, to the extent I was thinking how to get one of these set up at home! The initial ticklish feeling didn’t last long, and after that it was a relaxing feel. My feet felt super soft and smooth after that. The lemongrass aromatherapy was good too, where all one needed was 3 deep whiff os the lemongrass goes into your nose. Ah, freshens the mind. There’s even the HerbaLine’s Beau Store where you could purchase some of their homecare products to take back home. Healthland, I’m glad they are part of HerbaLine’s 3-in-1 thing. 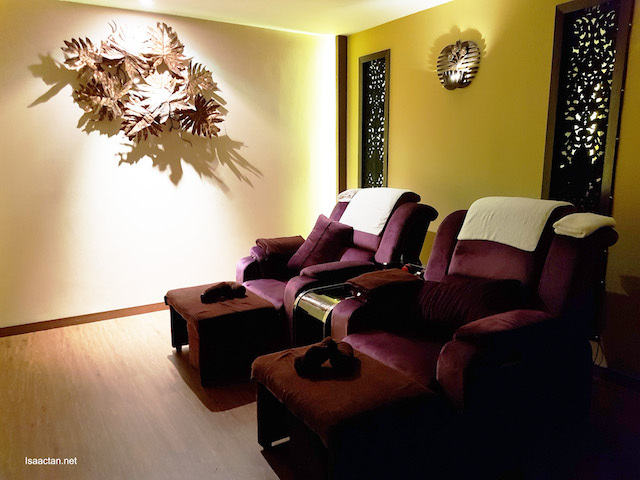 They have many outlets in the Klang Valley, and with many years in the business, you can be sure to enjoy their body and food massages done by professionally trained therapists. What’s even better is the fact that their pricing isn’t exorbitant. Nice ambiance, clean and comfortable. See how we enjoyed ourselves? 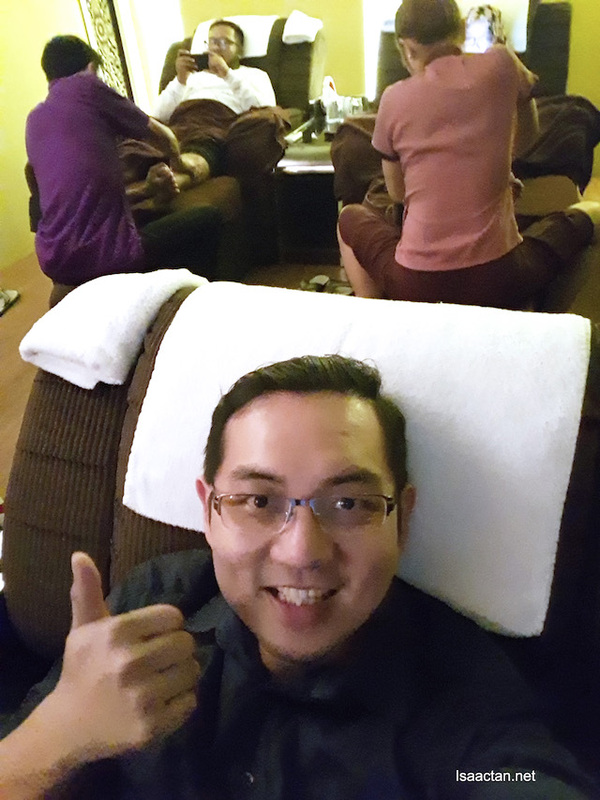 Various treatment are done in different rooms, and there’s even one room where we get to watch movies while our feet is being massaged. Loved this particular room the most! 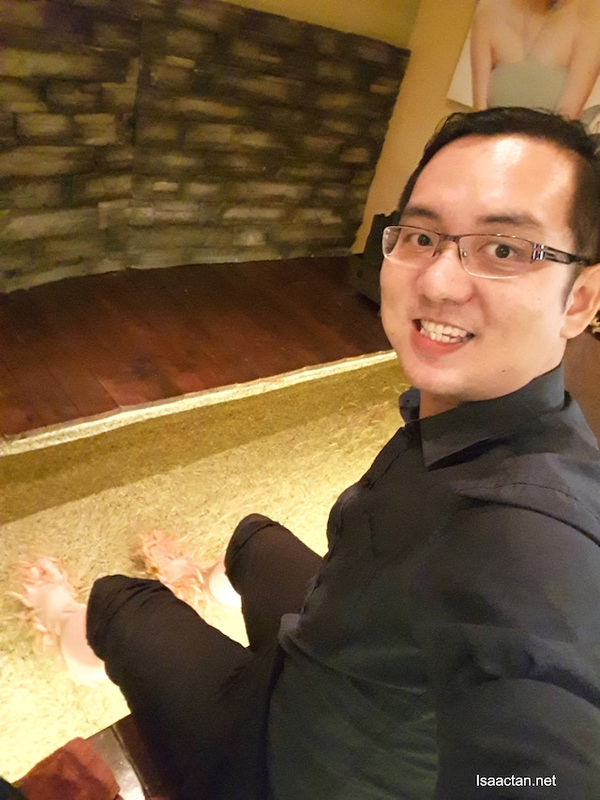 Watching a movie while getting our feet massaged is a whole new experience. Mama Kim Sauna Mee, I’ve tried their offerings before, and it’s good! Their healthy recipe follows the concept of having an 80:20 ration, 80% vegetables and 20% meat in each dish. 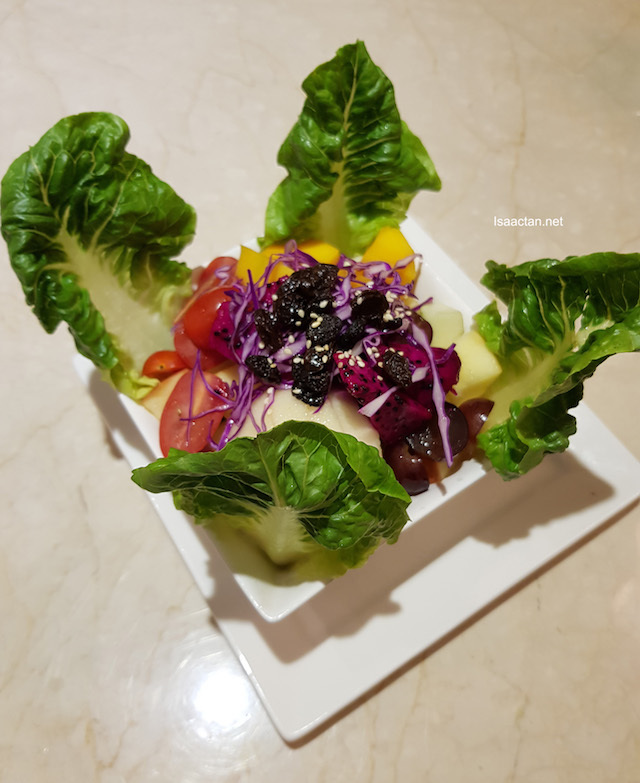 Healthy, tasty, the dishes are made from a balance of 5 major colours of fresh ingredients. 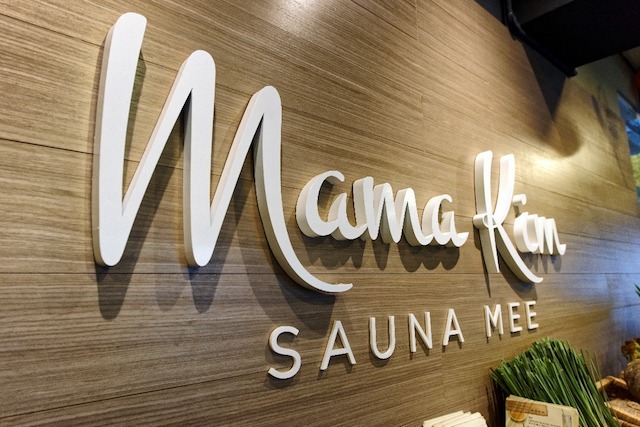 We tried out their signature dish, the Mama Kim Signature Sauna Mee. 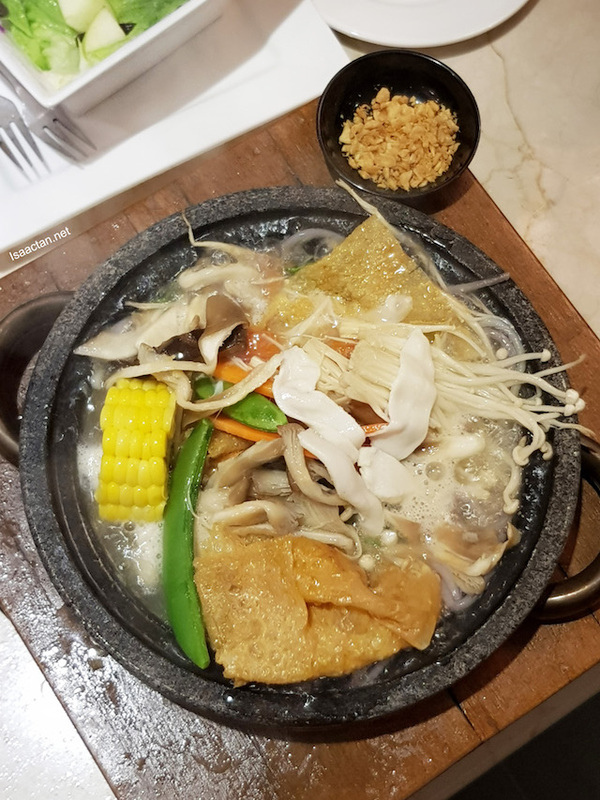 It was brought out piping hot, bubbling just like a sauna, except it had really wholesome and healthy noodles inside, along with lots of vegetables, and tasty ingredients. 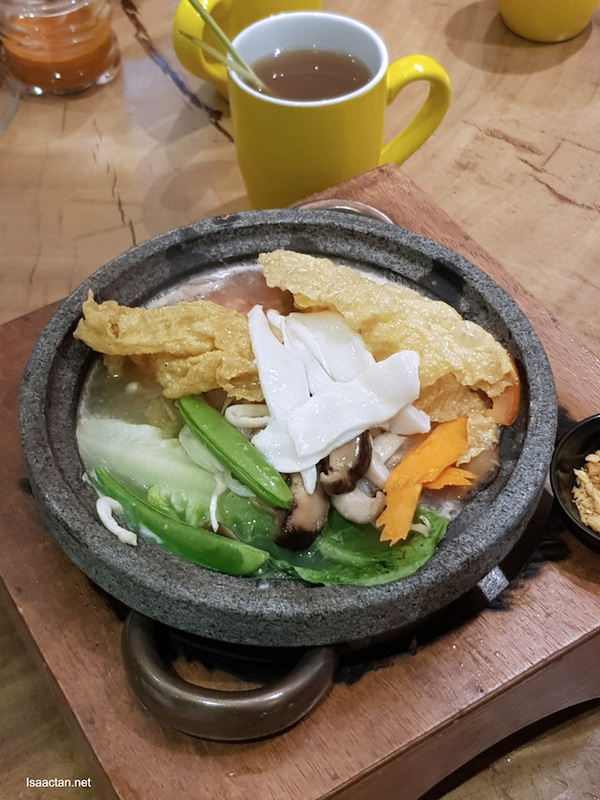 The hot stone pot kept the soup piping hot for a really long time! Be wary though, don’t take in too fast, or risk burning your tongue on the hot stuff. Check out the ingredients inside! There you have it, if you’re in the vicinity of Sri Hartamas, you must check them out. 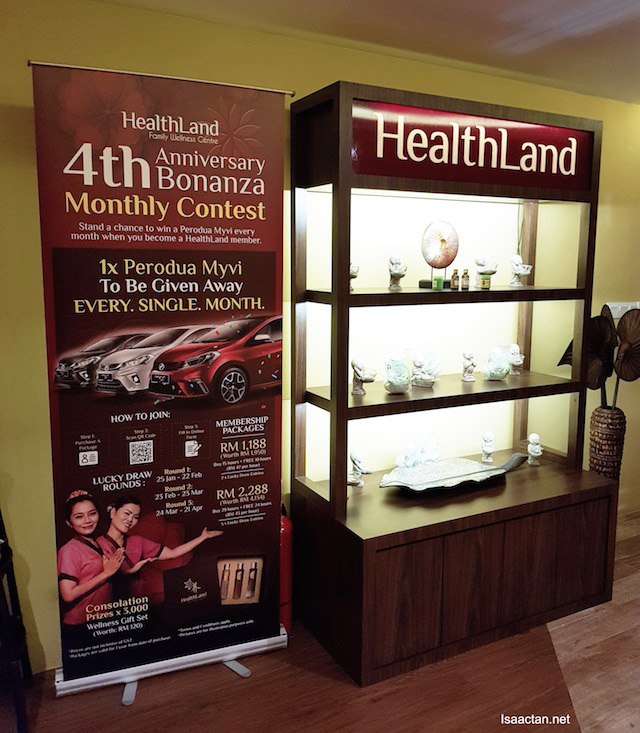 HerbaLine 3-in-1 Integrated Beauty & Wellness Centre with Healthland and Mama Kim Sauna Mee @ Hartamas KL, don’t miss out. Details below on the address, Facebook page, opening hours and more. Mee looks good. Love the stone bowl.